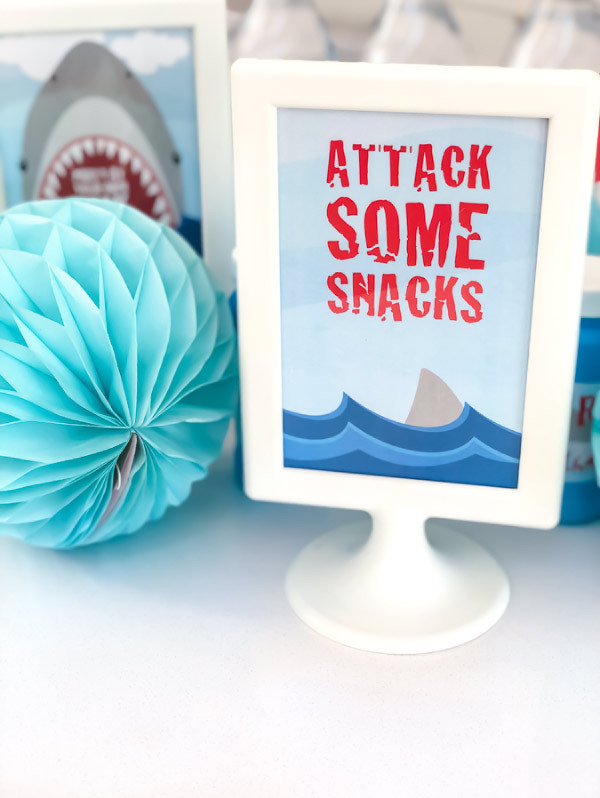 Inside: Find all the resources you need to throw an awesome shark party for kids from decorations, to invitations, food ideas, games and more! 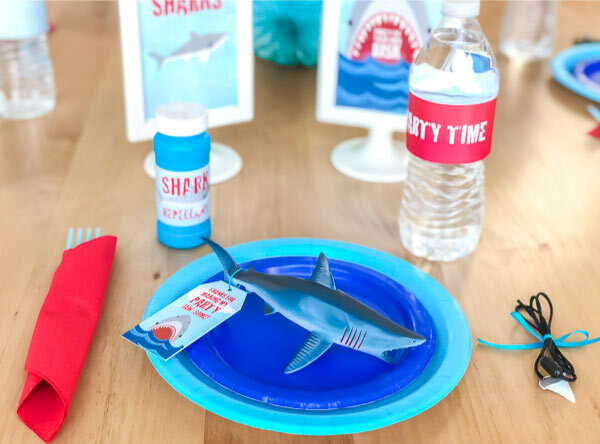 If your child loves all things shark related, they’ll flip over this awesome shark party. We love throwing fun themed birthday parties at our house. 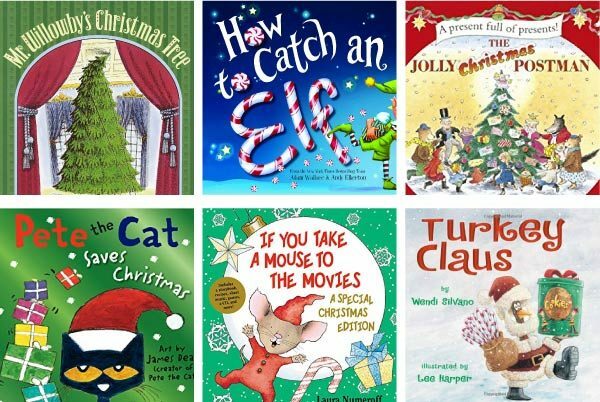 In the last few years, we’ve written about a dinosaur party, unicorn party ideas, Star Wars party and even a puppy party. 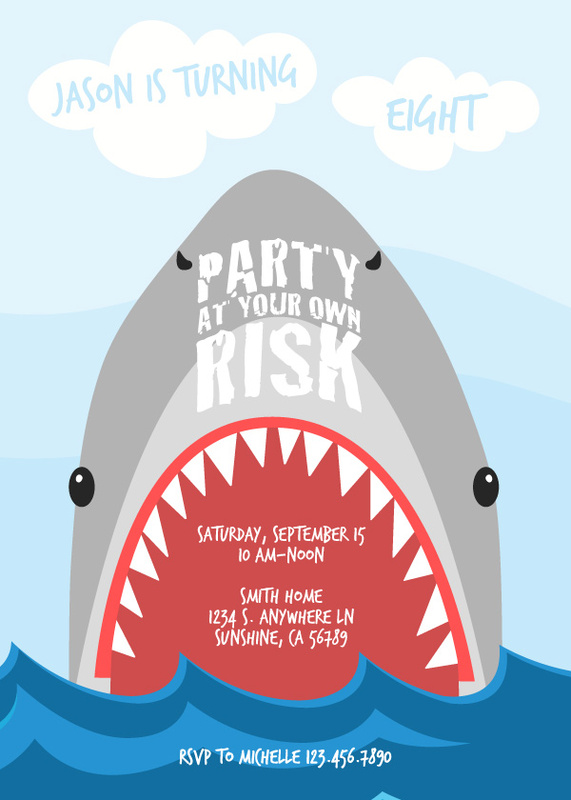 Today, I’m sharing my 8 year olds latest party request – a shark party! Read on below to see how simple it is to recreate this shark birthday party for your child. 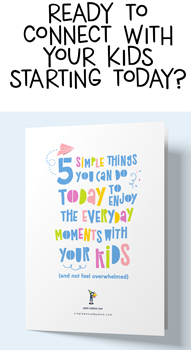 The first step in creating an awesome party for kids is finding the perfect invitations for the party. These invitations are 5″x7″ and are editable with Adobe Reader (you can get the free download here if you don’t already have it). If you want to use the same font that we did, you’ll need to download the free font TrashHand. 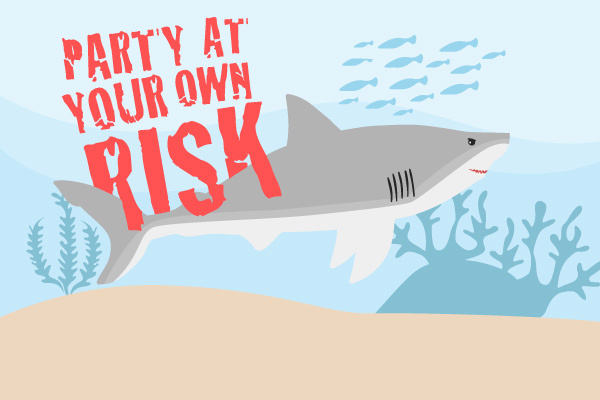 With this invitation, you’re able to edit everything except the “Party At Your Own Risk” text. There is also an option to have a backside to the card. You can edit the blue letters to say anything you want, but the red “Notice” is not editable. As you can see, we used this space to let the kids know they should bring some stuff with them and to tell them where we would be meeting. Since this is a digital file, you can either have them printed out (at home or a print shop) or you can use it as a digital invitation and send it via text message or through a service like Evite. 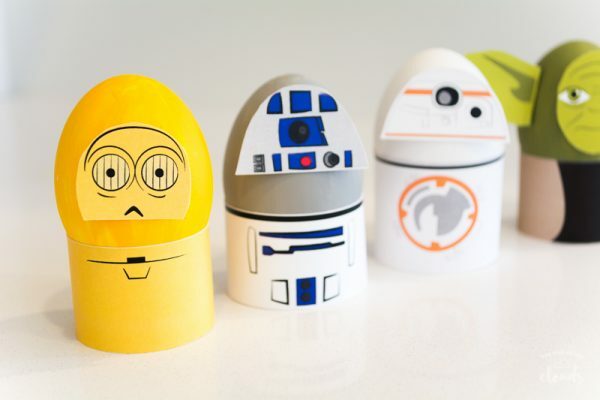 After you have the invitations ready and passed out to all the kids, it’s time to start thinking about the party decor. 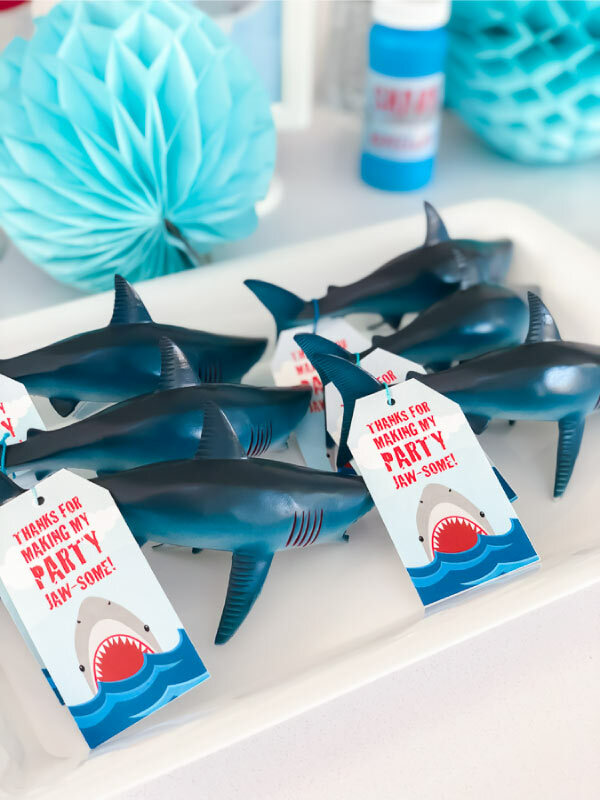 I love using an all in one party package like this shark themed one because everything you need is included and it all coordinates together. I like to use these 4″x6″ table signs at every party we have. The picture frames are from Ikea and they’re super durable and neutral so they fit with every party you have. Plus, they’re so cheap!! 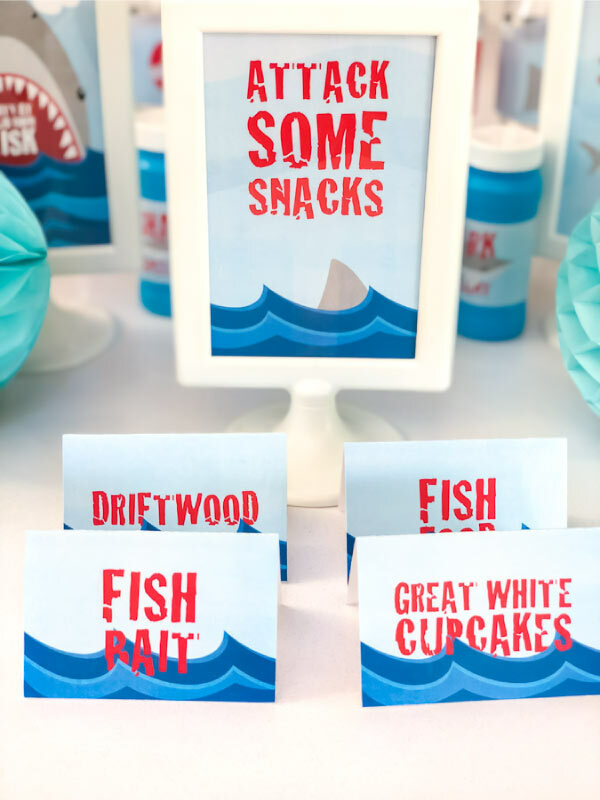 With our shark party, we had one 4″x6″ table sign for the snacks and then two other generic ones to add an even more festive look to the tabletop. Another inexpensive way to decorate your party space is to use color coordinating honeycomb balls. 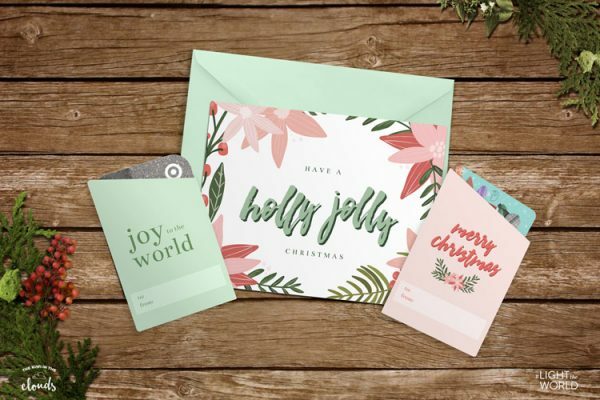 Depending on the color that you need, I’ve found the cheapest places to buy them are the dollar spot at Target, Michaels, and sometimes Hobby Lobby. If you can’t find the colors that you need at those stores, Etsy or Oh Happy Day shop are my top online choices. 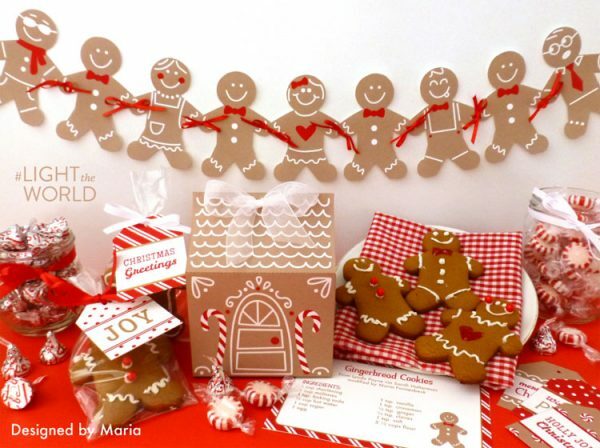 These decorations really go a long way in making your space look more festive! You can use them on your table, at the dessert station, on fireplace mantles or hanging from the ceiling. 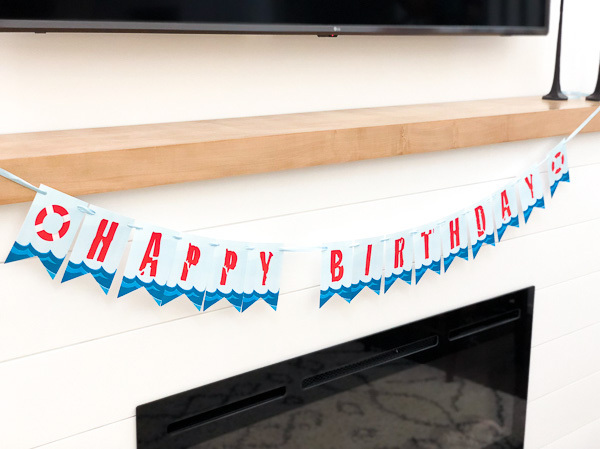 A birthday banner is another quick way to make your party location look decorated. For this, all you need to do is print out the banner, cut it out, punch holes in the top of each card and string some ribbon along it. We used one banner to decorate our snack station and another one on our fireplace mantle. At the party, we also hung up this banner as a backdrop. It’s 2.5 ‘x 6’ so it’s big enough to be seen if you use it at an outside venue like we did. Using these 16″x20″ signs will also help you decorate a larger space. If you’re having it at home, you can use one on your front door and another one somewhere inside your house. 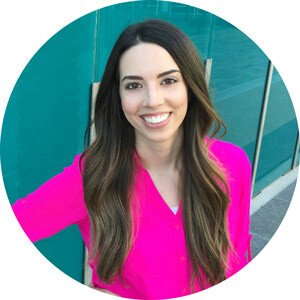 I always like to host my kid’s parties between meal times because it cuts down on the cost of the party and I don’t have to worry about the logistics of a meal. We kept things low key and only served cupcakes and two shark themed snack items. In this shark printable pack, there are 14 different premade food label cards with shark snacks and a full page (4 food label cards per page) of blank cards for you to write in your own ideas as well. 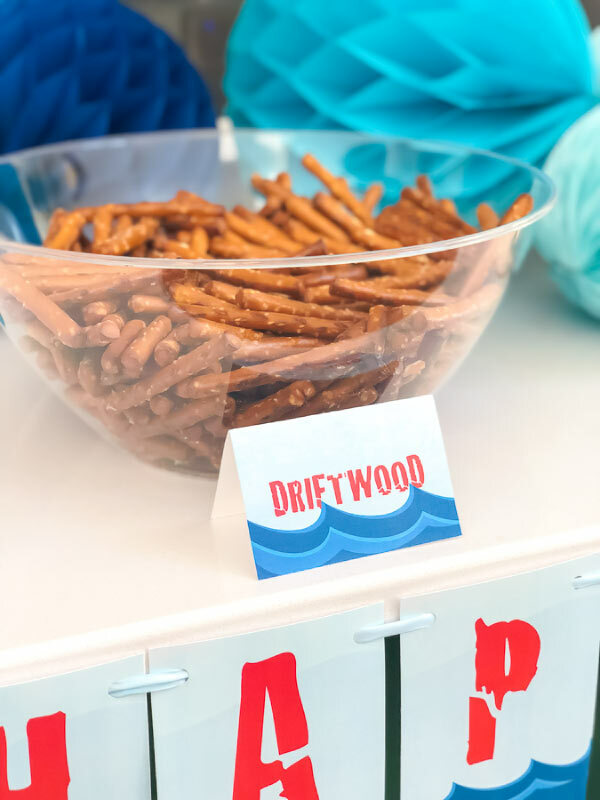 We chose pretzels and used the “driftwood” label and goldfish with the “fish food” label. What’s a party without cake, right? We chose cupcakes since they’re easier for kids to eat without making a big mess and since we’d be at the park. 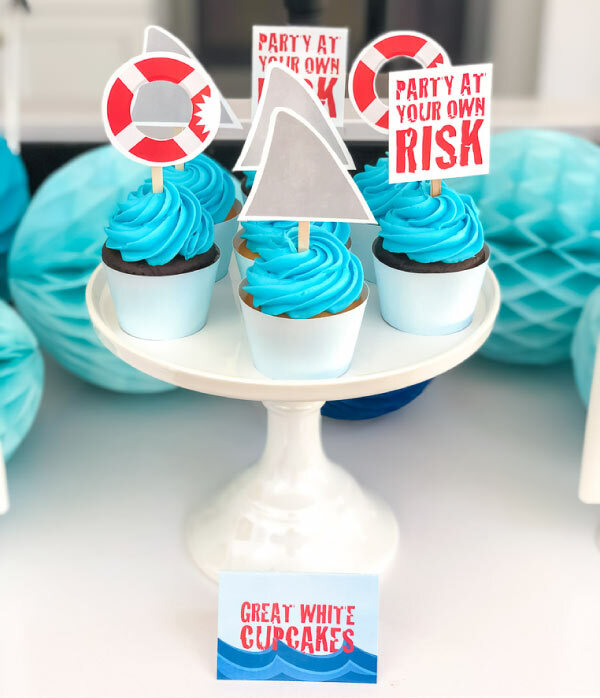 The shark party package includes three different shark cupcake toppers including a shark fin, a party at your own risk sign, and a lifesaver with a bite taken out of it. 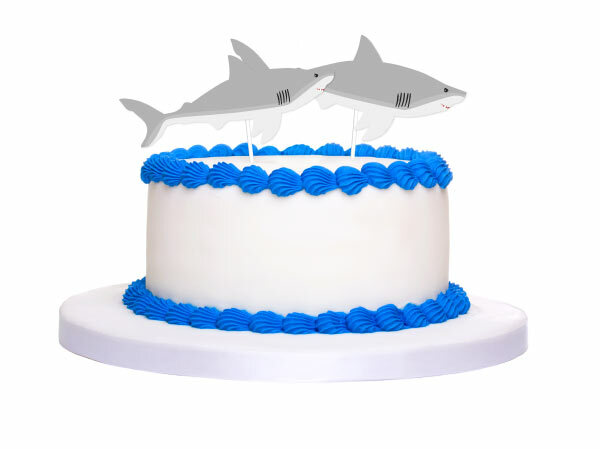 If you prefer having a shark cake, this printable set also includes 2 different shark cake toppers (full body sharks & shark with the mouth open) to instantly transform any store bought cake into a shark party cake! Below is an example of what the cake toppers would look like. Sometimes we also get themed cookies, like when we had this awesome Pokemon birthday party. If you’re looking for some amazing shark cookies, these ones from Etsy fit perfectly with the theme. In case you’re wondering, I have ordered sugar cookies from Etsy a few times (3, I think) and had them shipped to my house and each time they arrived perfectly intact! Another great option for some sweet treats are these adorable shark candies. 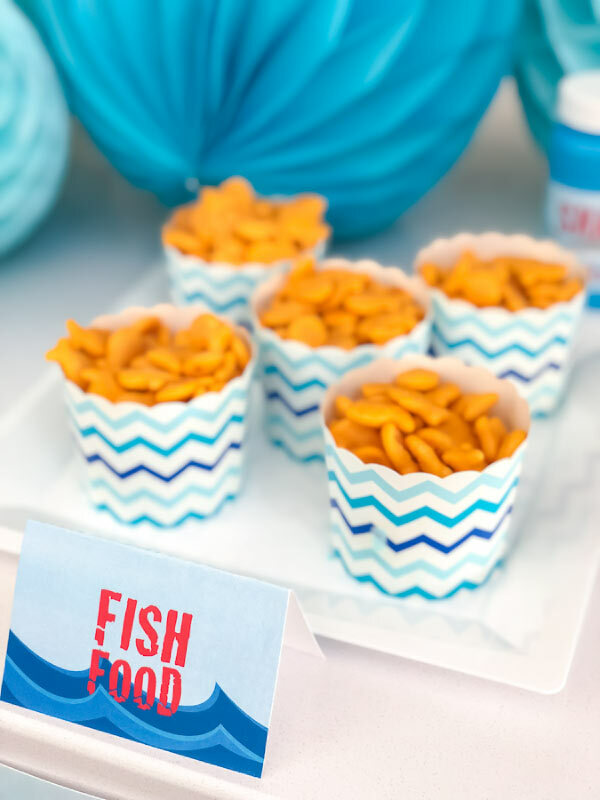 You can set them out as a snack for the party or package them in a small favor bag as a simple party favor! We also wanted to use these shark lollipops, but I completely forgot to order them before the party! 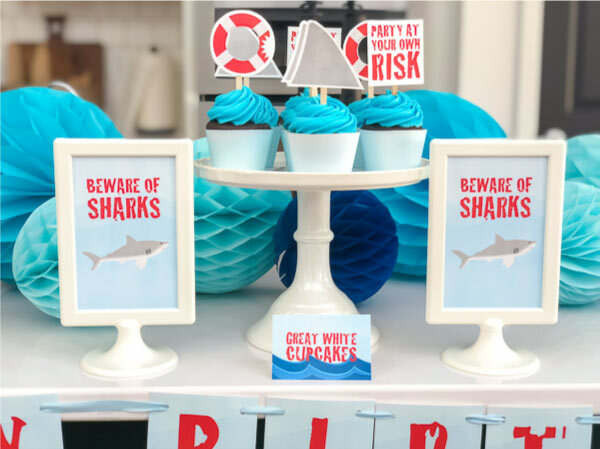 You don’t need too many items to turn any space into a cool shark themed birthday! Below are some of my favorite ways to decorate on a budget. One of my favorite ways to decorate is with balloons! This 3D mylar shark balloon is perfect for setting the scene. Instead of traditional balloons, I love using 36″ round balloons. You don’t need nearly as many of them to have a big impact and they give the party a unique look. For our table, we used solid colored disposable plates in a light blue dinner size and a true blue dessert size. We went with red napkins to contrast the blues and light blue forks. Since parties are usually loaded with sugar, we always opt for water instead of sugary drinks or soda. 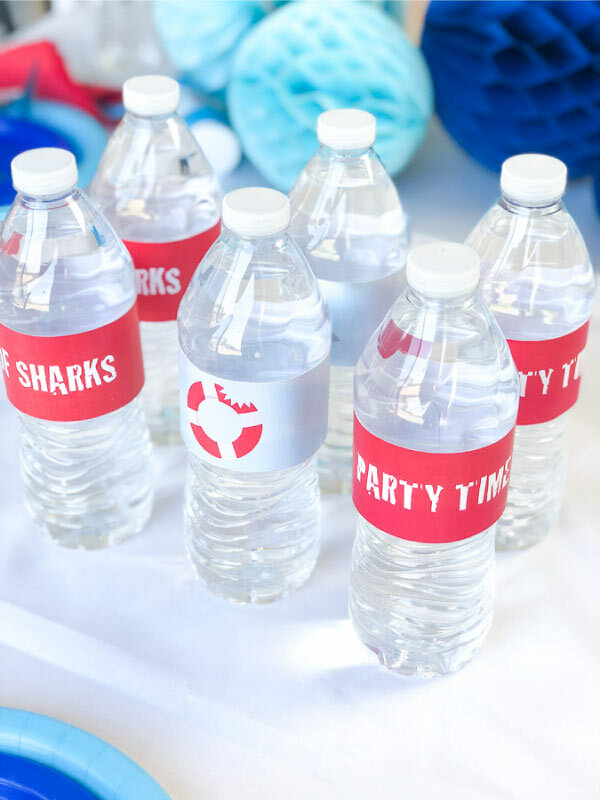 In the party printable set, we’ve even included water bottle labels to turn your water into decorations as well! 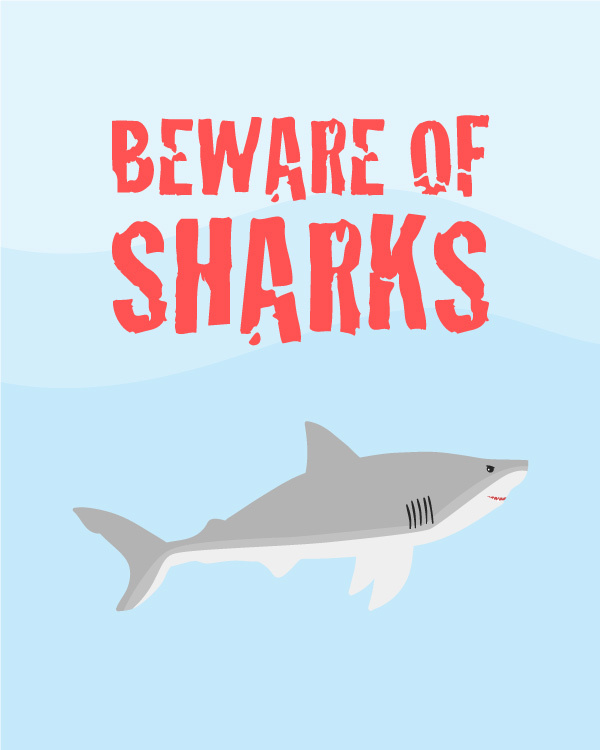 There are two different labels that say “beware of sharks” and “party time”. The other two have a picture of a lifesaver and a shark fin. To make these easy to apply, I use full sheet label paper and a laser printer so the colors don’t run if they get wet. If you don’t have label paper, you can also use tape or a glue dot to secure these to the water bottles. 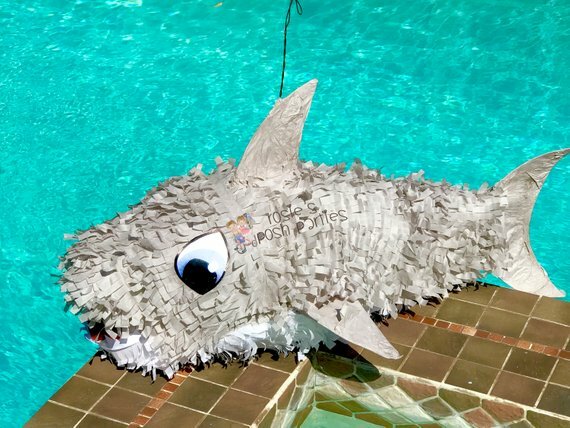 If you’re looking for an awesome shark pinata, look no further than this one from Etsy. This seller has amazing reviews and this shark is too cute! When it comes to kid parties, deciding on the party favors is one of my favorite things about party planning! 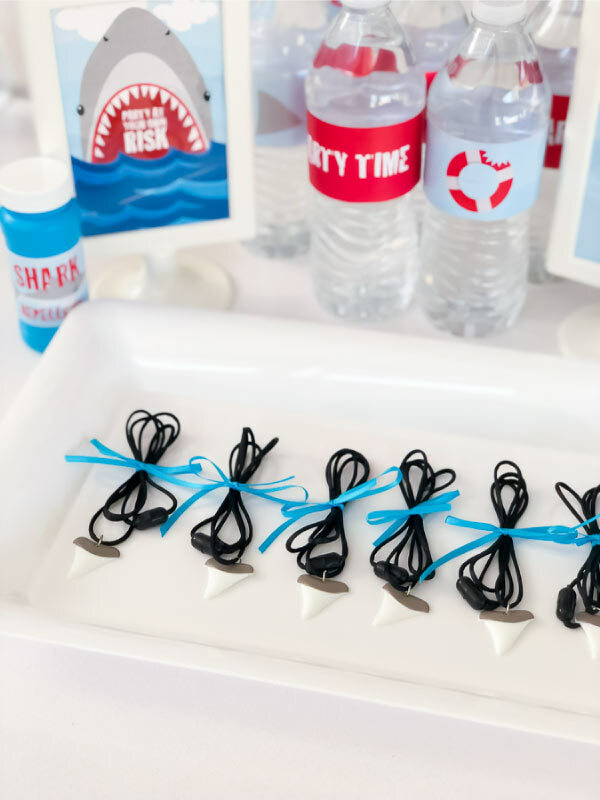 There are so many amazing options available for shark party favors, but what we ultimately decided on were these plastic toy sharks and these faux shark tooth necklaces for kids. We also included bubbles for each of the kids to take home as a favor. 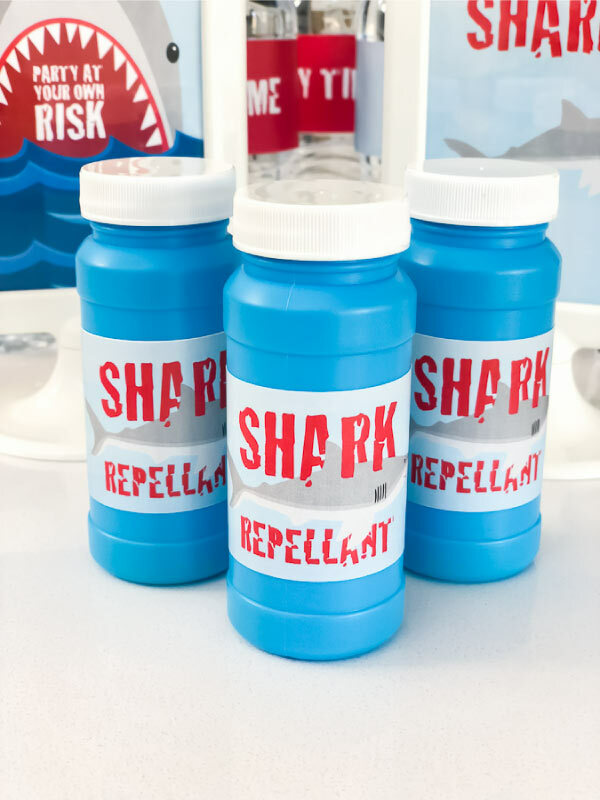 I pulled off the old labels and used the “shark repellant” bubble labels included in the shark party package. 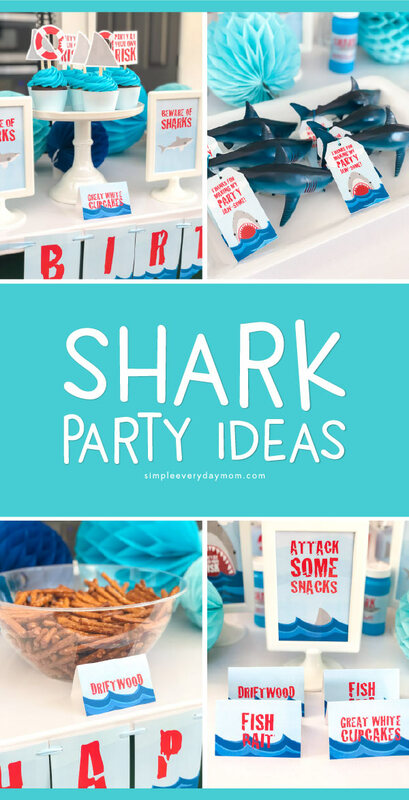 Part of me wants to throw another shark party just so I can use some of the other amazing shark favor ideas out there! 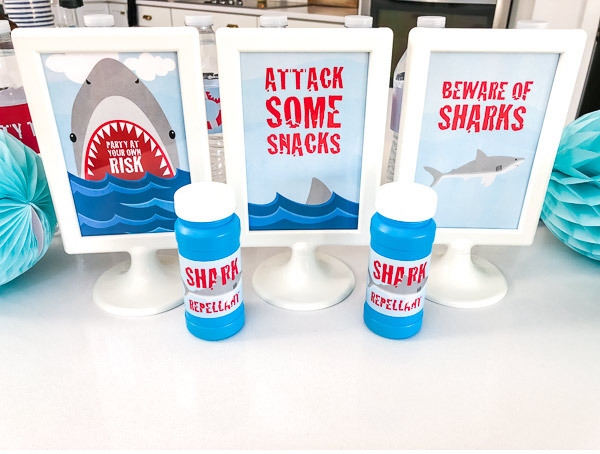 If you want even more options, check out these cool candy shark tooth necklaces, these shark favor goodie bags, these bulk shark stuffed animals, or these “jawsome” rubber bracelets. We had my son’s party at a playground with a splash pad, so we didn’t play any formal games, but it turns out there are lots of fun games for a shark party! 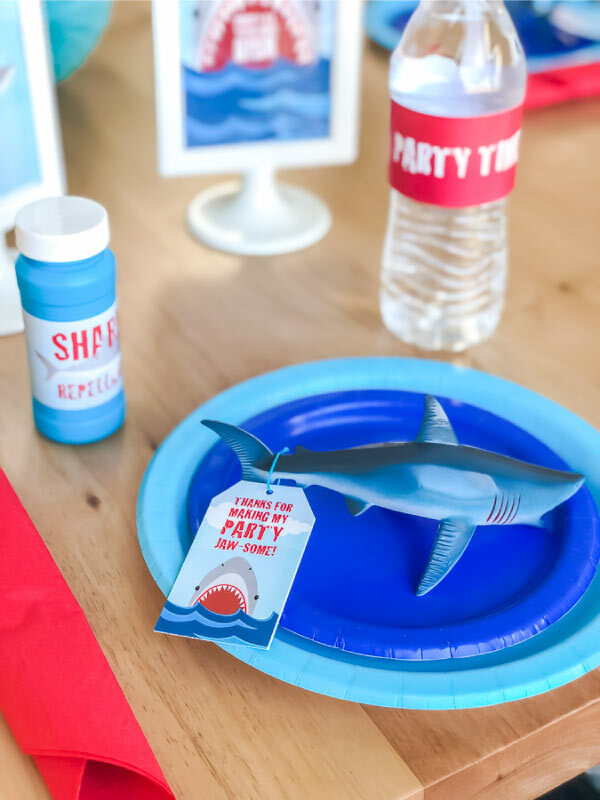 If you’re planning to DIY the party games, you’ll love these shark games from There’s Just One Mommy, which include save the sea animals, walk the plank, feed the shark and keep the shark away! 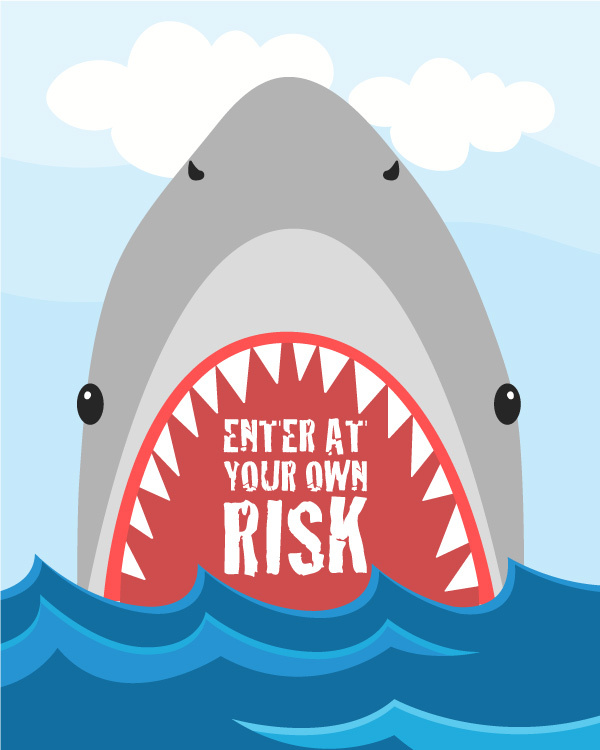 If you prefer ready-made game ideas, this shark bean bag toss game is great in the pool or inside. There’s also this pin the fin on the shark game. You can also turn a lot of traditional party games into any party theme you want with just a little creativity. 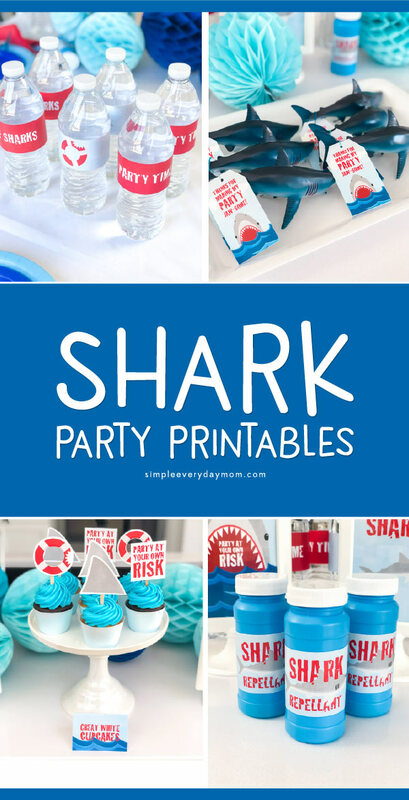 I hope you’ve found all the inspiration and answers you need to throw an awesome shark party for your little one! 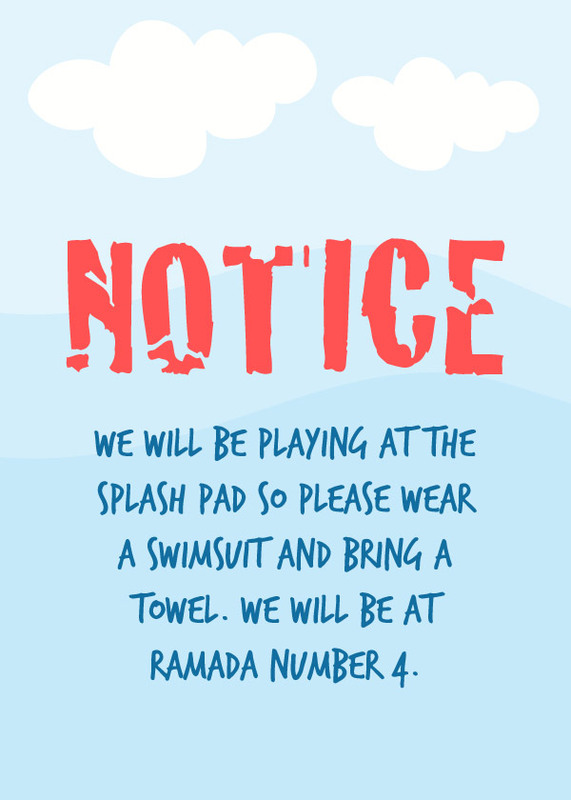 If you still have questions about anything from our shark party, just let me know in the comments below.